The information you need, when you need it, and how you want to view it. Because you can’t be everywhere at once, and yet you need to know everything at-a-glance. We help you identify, filter and connect the meaningful measurements of your business’s critical operations; and then display it in a custom, visually-rich business intelligence dashboard that turns cross-department data into insightful information. Now you can drive your business with smart, data-backed decisions for optimum performance, profitability, and growth. 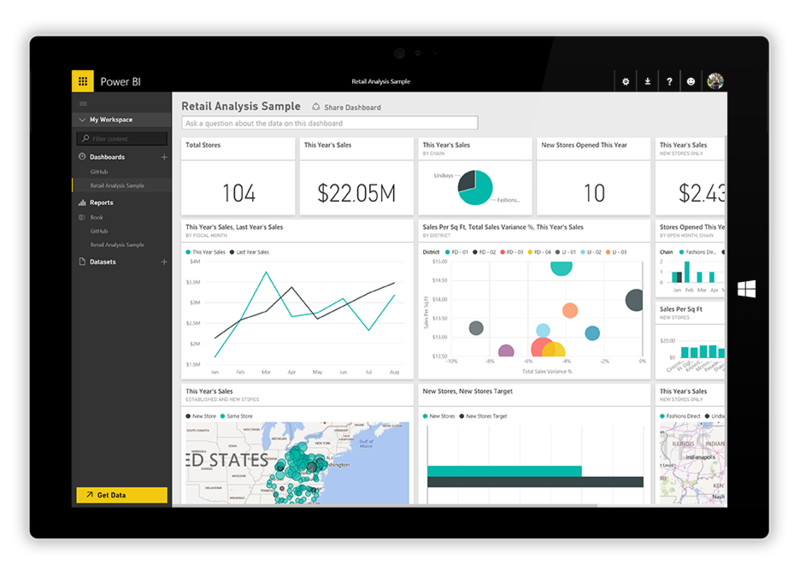 Deploy an effective analytics solution, leveraging Power BI, and supporting essential business operations. When decisions are backed by data, success comes easy. Explore any combination of data from any device, anywhere, with our cloud-based business intelligence solutions. No waiting. No guessing. The answers are at your fingertips. Peters & Associates is a Chicago IT consulting firm specializing in Microsoft’s data-focused products. We provide Chicago area businesses strategic and technical guidance and implementation of Microsoft-based cloud business intelligence solutions, bi tools, bi dashboards and analytics solutions that leverage Microsoft Azure, SQL Server, Power BI, and Datazen. At Peters & Associates, we harness the power of Microsoft’s Business Intelligence stack to provide strategic Business Intelligence solutions leveraging Microsoft Azure, SQL Server, and Power BI.